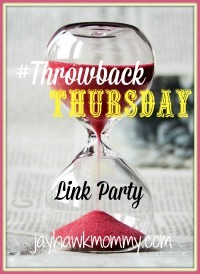 Came across this link-up in my reader feed hosted by Part-Time Monster, and it sounded like fun so I decided to join in, hey…who doesn’t love a party?!?! For me, this will be especially fun to reintroduce some of my posts, since I started this blog 7 years ago. Because back then when a person visited my blog, you could literally hear the crickets chirping, and the sound of the howling wind as it blows aimlessly through a wide open space…and on occasion one would witness a lone tumbleweed ramble across the screen. Anniehow…I found this post, and it was such a nice stroll down memory lane for me, and it still makes me chuckle. I’ve dusted it off for ya, so here ya go. If you’d like to link up, there is only one rule: the post you add must be at least 30 days old. The older, the better. Find the link-up here. The original post was posted back in 2009, so my kids were much younger then. The twins (Joshua & Olivia had just turned 14), Elijah was 8 and Benji was 4.